Maybe I missed it in the comments, but the RED controller post is wired to the negative (on + gate tracks) track braid and the power supply. The track needs it to operate, but the driver has the option of using it. Many drag stris do not even have the post to hook to, but the braid is still wired. 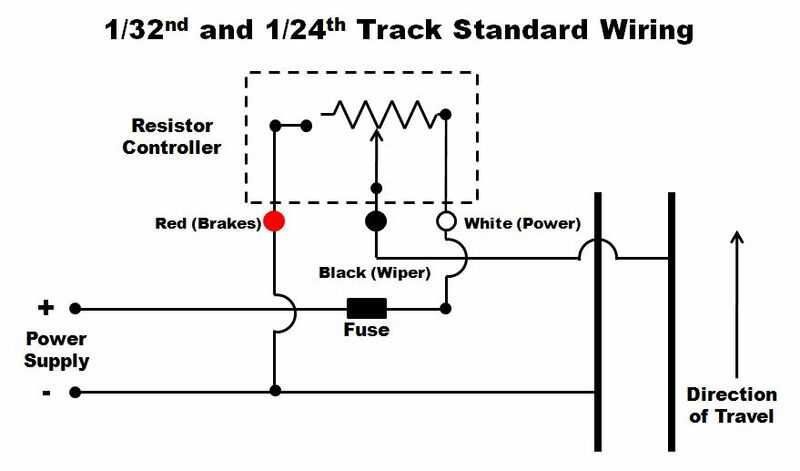 The original question concerned controllers, but here are the two different track wiring schemes. In both cases when the controller is in the off position there is a short applied across the car's motor. The difference between positive gate and negative gate (sometimes referred to as polarity) is the direction that electricity will go through the controller. 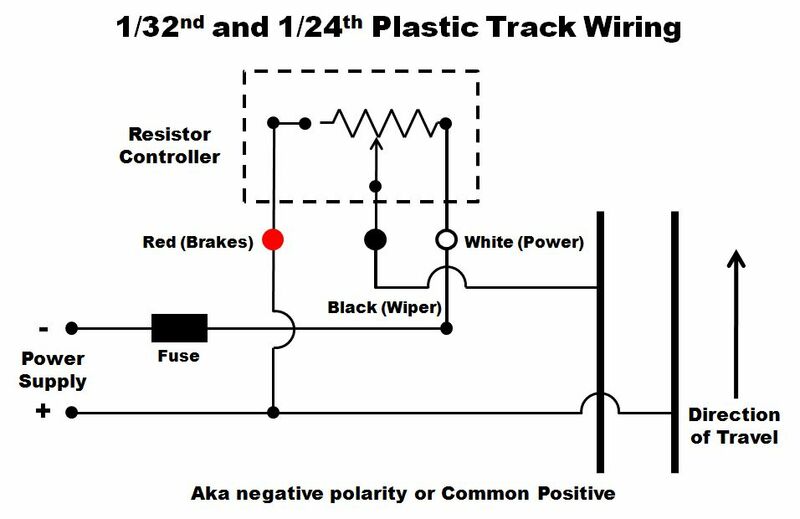 In order to switch polarities you can reverse the connections to the power supply and also the wires that connect to the track rails, that will not change the direction that the cars will go. If you just switch the wires at the power supply you will change both the track direction and polarity. If you only want to change the direction without changing the polarity you must switch the wires that go to the rails. Note that the schematics are for 1/32nd and 1/24th tracks, those are wired so that positive is on the right looking in the direction of travel. With HO tracks positive is on the left. Set type 1/32nd and 1/24th tracks are all wired for negative polarity. Club style tracks and commercial raceways normally use positive polarity.